Strictly speaking, I'm not sure if this can actually be considered a gadget as such, but if it were, it would rank quite highly. It is the latest model Volvo C30 with the 2.0l petrol engine. A little bit thirsty perhaps, but good fun and not too oversized. The boot is perhaps a little bit small, but since I rarely need to carry large loads, it suits me quite well. A nice compromise between sensible and fun. When I bought it, I was careful to specify a bunch of extras to increase its tech credentials. It sports keyless entry/drive, active-bending bi-xenons and an uprated sound system (including bluetooth hands-free and USB/iPod support). I would never be without any of those things now. Verdict: 8/10 – not the cheapest to run, but ideal besides that. Keep. Right now I have an iPhone 4, having upgraded from a 3G back when it first came out. Yes, I stood in a queue. Yes, I felt like a pillock. And yes, it was worthwhile. An excellent phone, and the biggest issue I had with my old 3G—the useless battery life—is significantly better with this one. The retina display is also stunning even now after owning it for months. I would not be without this phone, and the constant connectivity which it provides. It is funny looking back even just a few years... the idea of being constantly connected no matter the location for a very reasonable (read: not extortionate) fee would have sounded somewhat fanciful. Verdict: 9/10 – on a long contract so it's a good job I like it. Keep until iPhone 5 perhaps...? My main machine is a 27" Apple iMac, bought not that long after they came out. It replaced my previous desktop, a 24" iMac from a couple of years ago. There was nothing technically wrong with the 24", but the 27" brings a few improvements which made it well worth getting, most notably the larger screen and the ability to hold twice as much RAM. Even now, I haven't actually got around to maxing it out yet, which is a good thing as there's probably another good year or more in it yet. I have it connected up to a (slightly old) Dell 20" which increases the already large screen space a bit more. If I had to pick holes in it and mention it's failings, it would be the lack of expansion options in other areas. An SSD would be rather nice, but there is no way I'm going to take the screen off and everything to put one in. The stock hard drive will have to suffice. The option for two external screens (instead of just the one) would also be very welcome. If a forthcoming iMac addressed both of these complaints, it would be very hard to resist grabbing one. Verdict: 7/10 – a worthy machine (and nice looking), but not the holy grail. Keep. Unfortunately I do not currently own a mobile computer of any description! Yes, you read that right... no laptop, no netbook and no iPad. However I do have use of a work laptop, a massive great hulking HP "mobile workstation". It's now a good few years old, but is still going strong. It's definitely not the lightest of beasts and the battery life is lacking (maybe 1:30 at a stretch) though, so taking it to various events and such is not always ideal. Verdict: 5/10 – not my ideal choice, but can't complain. Would prefer something a tad smaller. 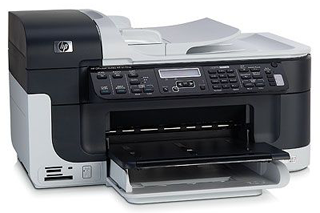 I have an HP OfficeJet J6410 which has printing (funny that), scanning and faxing (if I plugged it into the phone socket) capabilities. It is a competent device, and works fine with both OS X and Windows (if anything, the OS X drivers are superior). The ink is a little expensive, but definitely better than other printers I've owned in the past (Epson, I'm looking at you). I have always found HP to be honest reliable machines which tend to be built quite well and generally be decent workhorses. As usual with these things though, everything isn't all glitter ponies and dolphins riding unicorns though... it has its issues. A device like this, which is connected to the network (wired in my case, although it has wireless abilities too), you would expect to be able to leave alone. Annoyingly though, I have found that if you leave the device on, it doesn't always go into power saving mode, and sits there with its screen all lit up for ever. Even worse than that, it sometimes crashes. I've found it best to turn it off when it's not needed which sort of defeats the point. It's possible there is some sort of firmware update or something (do HP do this? ), but I must admit I've never looked. That said, it's a proper network-enabled device, so shouldn't it be able to go out and grab its own updates? I think that'd be a handy addition to a generally decent device. Verdict: 6/10 – competent but not outstanding. Keep – since I'm not a big printer of stuff anyway, the issues aren't that problematic. For all my storage needs (particularly media and ISO images), I have a Drobo connected to the network via a DroboShare. I bought these as a bundle back near the start of 2010 and it hasn't really put a foot wrong since then. After I'd owned it for a little while, I wrote a post about it. That post pretty much covers it, and I still hold that opinion. The only thing I would say though is that the software isn't quite as good as it could be. It often forgets that it's actually connected ("No Drobo is detected") when in reality there is absolutely no problem and it can still be seen via network sharing (Samba). A minor issue, but one that can only be resolved via a reboot of the iMac. Perhaps it only affects the OS X version of the software...? I don't know. A little annoying all the same. Verdict: 8/10 – would have got 9 if it weren't for the above issue. Definitely a keeper though. At the moment, the role of home media player is handled by my LG DVD player & 5.1 surround system. It has a USB socket on the front and is capable of playing a variety of different formats including DivX/XVid encoded AVI files. Unfortunately, what this means is that I have to copy whatever I want onto a USB key or hard drive before I can watch it, rather than streaming it directly from the Drobo which would be the ideal solution. However the sound is more than good enough and it plays most things without any problem, so I can hardly mark it down for not doing something it was never designed to do in the first place. What I could pick it up on though is the fact that when I want to replace it (I doubt I can escape the call of Blu-Ray forever), I'll need new speakers and everything too, as inputs are somewhat limited (there is one). At some point, my ideal plan would be to augment it with some sort of device which provides the streaming capabilities I'd like. 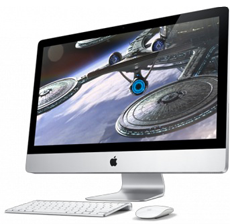 It can continue handling DVD/USB duty and sound, as there is nothing wrong with that at all. Verdict: 6/10 – a competent system, but not the whole solution. Expandability very limited. Keep... for the time being.